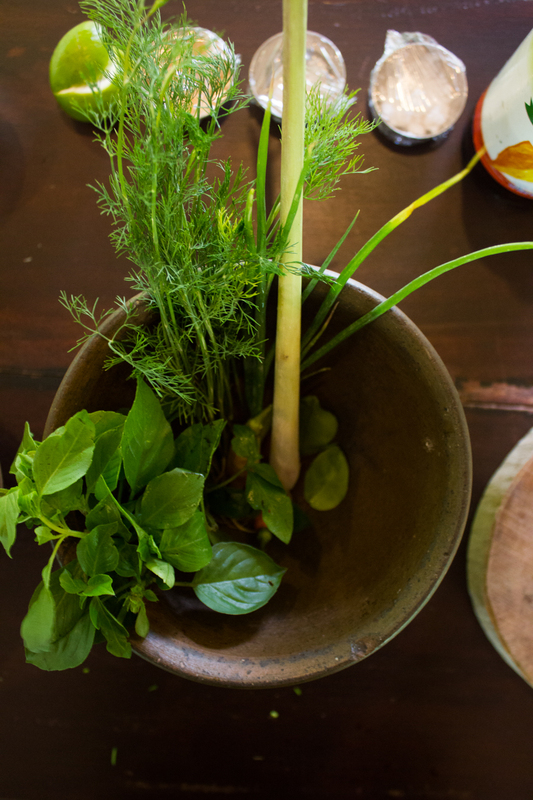 The cooking course at Tamarind in Laos was one of our absolute favorites. It wasn’t your typical international cooking class where you get handed a tray of pre-prepped ingredients, buddy up and share a cooktop to simmer your portioned items and be done with it without learning a dang thing. No, there was intricate incision making in lemongrass stalks, bile tasting, sticky rice etiquette, mortar and pestle pounding and and clay and tin brazier charcoal cooking. All while looking out over the lotus pond. 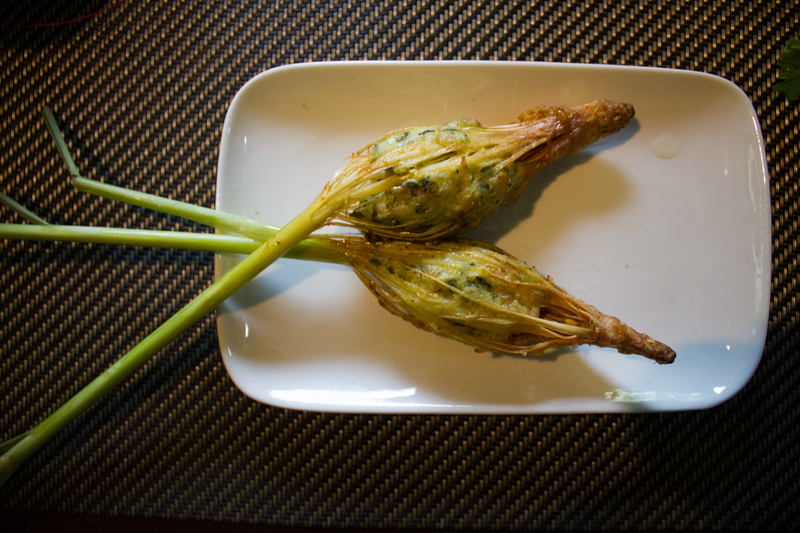 While every recipe was incredible, authentic and unique, these stuffed lemongrass stalks were just plain fancy. This tropical grass grows beautifully in hot, humid environments, such as Laos, so it’s no surprise traditional cuisine features it frequently. We removed the tough, outer leaves before cutting off the base and top of the stalk to reveal the tender little whitish inner stalks that would serve as the vehicle for the filling. 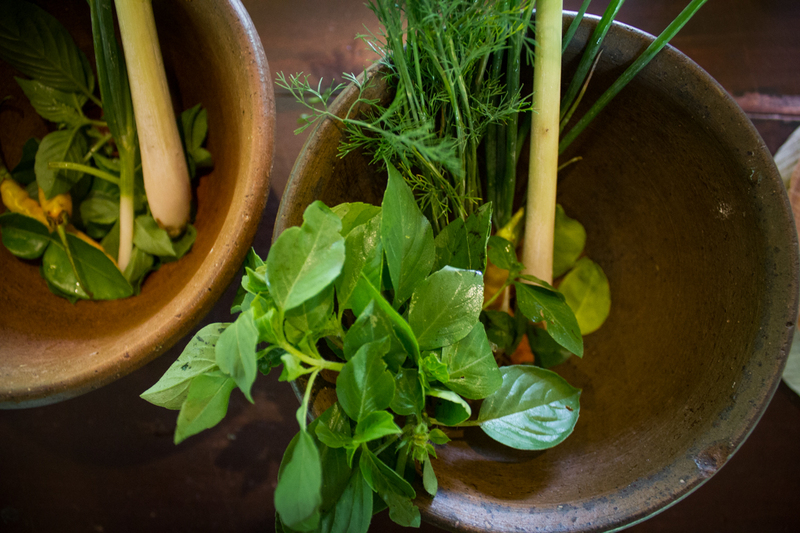 Our filling ingredients were combined in a mortar and pestle, and if you want to replicate the dish to reflect the traditional Laos flavors, I’d stick with the mechanics of a mortar and pestle vs machine. 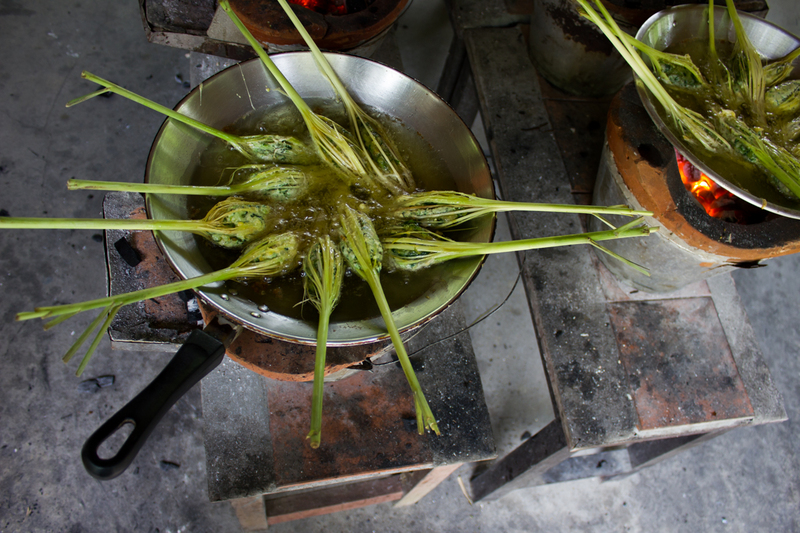 After we soaked the lemongrass stalks, we very carefully made incisions about 1cm from the base, moving upward several inches. By rotating the stalk, we continued to make incisions, and eventually created this beautiful lemongrass cage that would house the filling we just pounded out. After filling the delicate cage with the filling, we gently dipped the pieces in beaten egg to prep for frying. 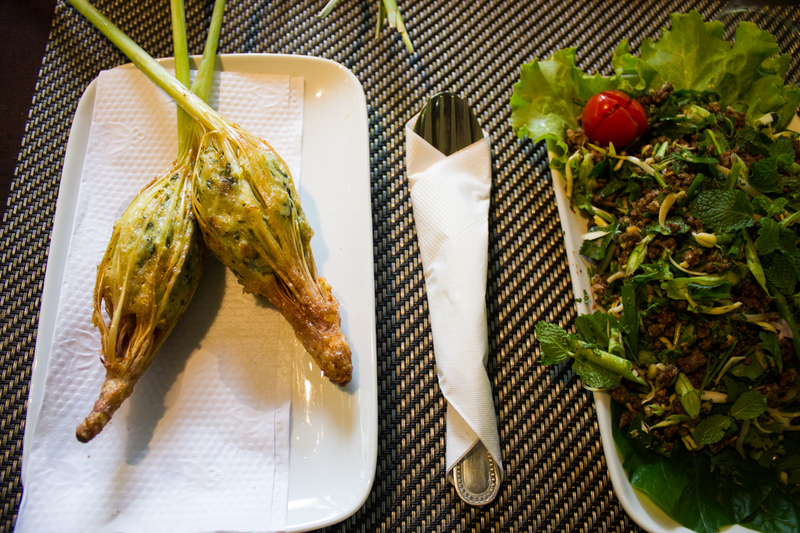 Over our charcoal burning clay ovens, we fried our lemongrass stalks until the meat was thoroughly cooked through. The best food is the messiest food, so forgo table manners and dig in with the help of your hands. 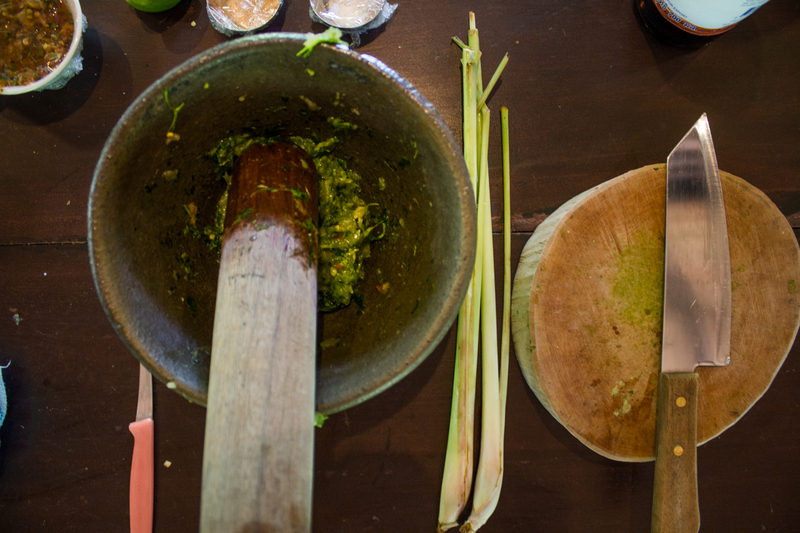 With a mortar and pestle, pound to combine garlic, scallions, coriander, lime leaf and salt. Add meat and pound well. 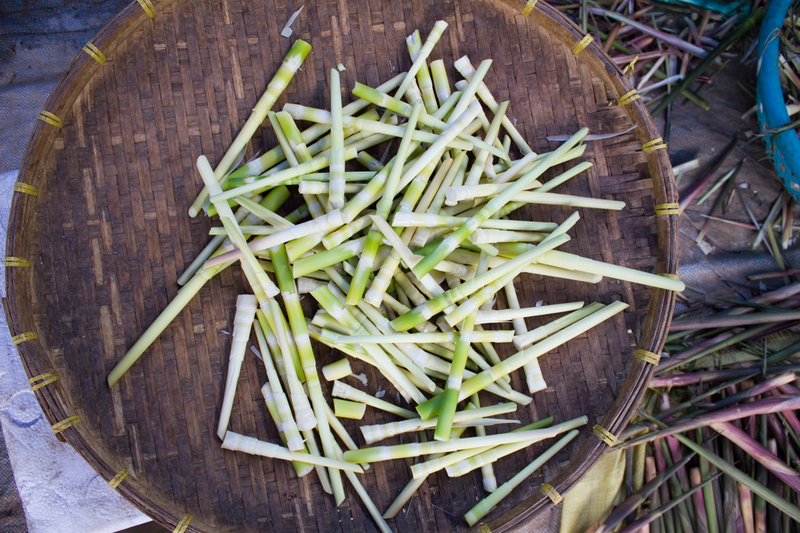 Using a sharp knife, and starting about 1cm from the base of the lemongrass, make a cut right through the stalk for about 4-5cm, ensuring that both ends of the stalk remain intact, as these ends hold the filling in place. 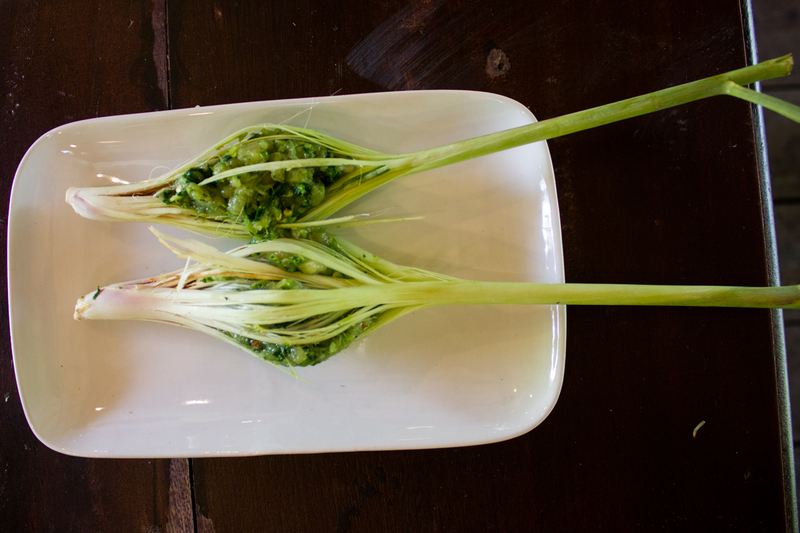 Rotate the lemongrass stalk a quarter turn and repeat. Create a central hole or cage to hold the filling. Use your thumbs to open the cage and make a basket shape. Insert a small spoonful of filling within this central core and shape smoothly with your hands. Dip stuffed lemongrass pieces in beaten egg. Heat your wok, add the oil and fry the stalks until the meat is cooked through. Serving Suggestion: Best eaten with fingers, or served to share with small appetizer forks and plenty of napkins. Can be served with peanut dipping sauce.